Goodreads: Randall Grange has been tricked into admitting herself into a treatment center and she doesn’t know why. She’s not a party hound like the others in her therapy group—but then again, she knows she can’t live without pills or booze. Raised by an abusive father, a detached mother, and a loving aunt and uncle, Randall both loves and hates her life. She’s awkward and a misfit. Her parents introduced her to alcohol and tranquilizers at a young age, ensuring that her teenage years would be full of bad choices, and by the time she’s twenty-three years old, she’s a full-blown drug addict, well acquainted with the miraculous power chemicals have to cure just about any problem she could possibly have—and she’s in more trouble than she’s ever known was possible. 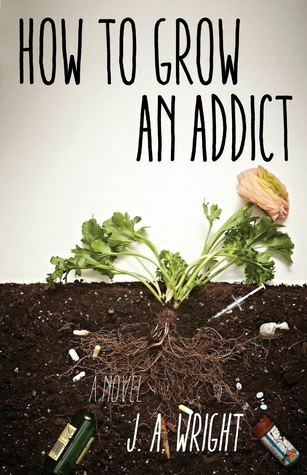 Kritters Thoughts: For some reason this synopsis pulled me in when I was pitched the book and I thought this book would be an interesting read about a woman who becomes an addict and how it happened. What I read was a long winded excuse of a woman's life that she uses as an excuse as to why she becomes an addict. This fiction read like memoir and it didn't work for me. The parents frustrated me and there were too many moments when I wanted them to get it together and be actual parents. I think what made me the most frustrated was there was not one redeeming character in the book that I could put my hope on. If you enjoy the soap opera shows then you could enjoy this one more than me.